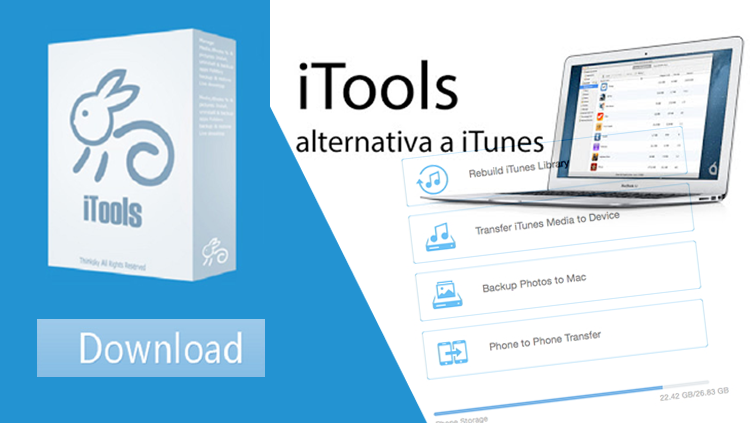 iTools 4 download is ready to manage your iPhone, iPad and iPod Touch. iTools 4 offers compatibility with Windows and Mac OS X. iTools 4 is the best alternative for iTunes. Here we go for everything in detail. Download iTools 4 - iTools is the best all in one solution for iOS management when iTunes happens to meet the user with some complications. iTools 4 Ringtone Maker is more attention winning which we not find in iTunes. Easier file transferring from PC to device. iTools promises for complete and safe backup of the data also with super restore assistance. Exclusive battery master feature optimized to take the best benefit of the battery life. iTools 4 exclusive file manager is here helpful to arrange, manage and organize all of your files. AirPlayer you can enjoy an immense screen experience connecting either iTools 4 Windows or Mac. Why do we choose iTools 4? iTools 4 download tool is really easy to use. User friendly interface and most of task can complete in one click. Fully support for iOS 11 and iPhone 7/ iPhone 7 Plus/ Windows 10 / Mac. iTools 4 has a lot to fall in love with. So here I pick you some of the highlighting to make you aware why you need all in one solution for the whole iPhone, iPad and iPod Management. There are times you need migrating your data from the older to newest iPhone. And it is also possible you are switching from Android to iOS and now in the need of taking all data safely. So turn iTools 4 which is fully helpful in getting all data migration with support of a wide file formats like images, audio files, PDFs, video and etc either through iTools 4 Mac or Windows. To keep your important data you need backups in many of the situations. So iTools here gives the best support in super backups also with the reliable promise of restores. All you need doing is select the files to backup and move to the option with a one click. Most notable you can try application backups too following the same processing. Having iTools lets you enjoy a vast screen experience. 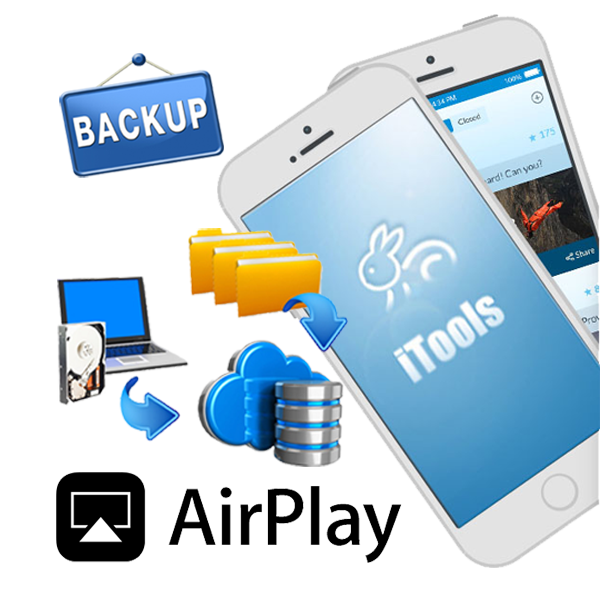 In fact, you can either use latest iTools 4 Windows or Mac and play games, watch movies, videos, view documents on iPhone, iPad or iPod Touch. That process through the iTools AirPlayer which also lets you share your screen experience with all you love. The software iTools offers an exclusive battery management option as a way to preserve your battery to the best. It will let you know the battery status, temperature of the battery, boot voltage, actual capacity it counts, battery SN value, current voltage, charging cycle and more. So iTools 4 can be used to reduce unwanted battery usage and manage the battery health with best concern. The file management of the iOS need more care as Apple has not offered any default features to it. But with iTools Free you are free from the troubles as there you meet an exclusive File management feature to organize, edit, add/remove and do more as your requirement. With the special iTools image tool option you can preview the images with the original resolution it takes and with full capabilities to share among Windows and Mac desktop PCs. And for the notable fact, you can share to more than just a one PC at once. Additionally, the image tool also lets you organize image files, create orders, make or remove albums, move images to different folders, try advanced edits and more. As above stated, there are some exclusive features with iTunes that are in wanting of iTunes. And this is one of them which are interesting customization features to iPhone, iPad and iPod. With this, you can make your own ringing tones with your own recording or mash up of the favorites clips and can put it as one of the originals. And for more, you will also find more customization features like wallpapers changes, screen saver settings with iTools as it offers a special section for desktop management. The icon manager is another interesting tool within iTools which helps you to try changes in the way your screen looks. With this you can arrange icons of the iPhone, iPad or iPod Touch via Windows PC or Mac and can even remove through the desktop. 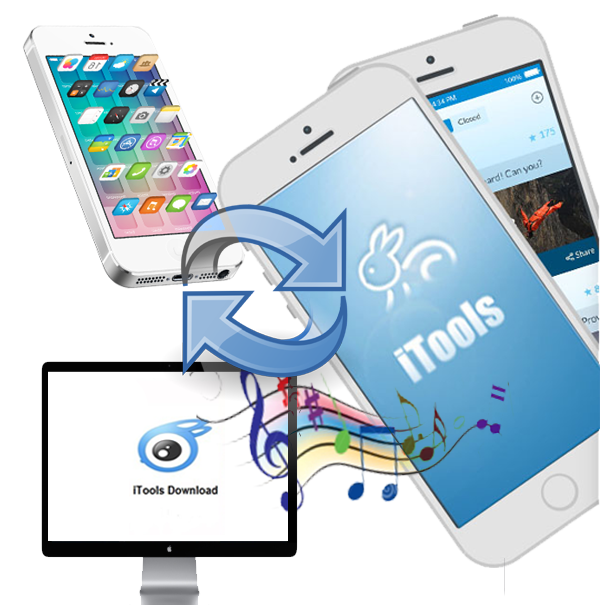 iTools 4 is a powerful alternative to iTunes with a host of features to manage your iPhone, iPad and iPod. It can be used through Windows PC or Mac for any iPhone, iPad or iPod variant respectively to the firmware takes. And now with the upgrade of iTools 4, anyone can tweak your device, use of all upgraded features. So get into all the highlighting facts about latest iTools prioritizing the upgrade most up-to-date. With the iDevice in hand, you can try many of the things. But do you have any idea about the things could do via Desktop? For this, Apple brings iTunes as its official program for the whole management. But when it is quite tricky in certain state of affairs, you are forced to alternative turns through which you would meet iTools Download. Simply, iTools comes inspired the iTunes features but with so much more. And once you make the first attempt, you would never be spaced out. If you doubt why, let me explain everything as follows. What is the use of iTools 4 Download? The need one can have for iDevice management would vary from the other with same device on firmware. When I prioritize file management, data transferring, some would concern more about backups/restores and etc. So simply, the need of management comes in different sizes and weights. But when iTunes does not address all them individually but stand where it is instead, you will start feeling the need of a proper companion like iTunes but definitely not the iTunes with its focus of density. And that is where you meet iTools Free. If you are new to iTools, the best way to introduce is as the Software you can employ instead of Apple’s own iTunes. But opposed to iTunes, iTools is extremely user-supportive which concern the ease of the user as much as concerned to the frame of functions. So while iTunes brings the things in a fairly tight frame, iTools appears as the all in one solution with taking all good from iTunes and also added more fascinating upgrades. Is iTools 4 same to iTunes? iTunes and iTools are two different programs but shared similar features. When iTunes appears the official Apple solution for all kinds of iOS management, iTools comes as an alternative for those who wish to take a look over Apple’s official way. Almost all the key specifications come in iTunes finds in the iTools interface too. But if you choose iTools free Download, you would be benefited with its most notable less-complexity feature which I suppose the main reason drags more user towards it. What iTools 4 can do? All features of iTools will be explained soon after the description here where I wish to take you through a quick roundup first. Simply iTools Free Download agree making complete backups and super restores, all desktop management, synchronize data, manage firmware upgrades/downgrades, keep the eye on battery run, all file arrangements and so much more. And as the software iTools is made to make user more ease of use, it is supportive for all kinds of editing, making notes, mark on calendar and do everything in the need of management. So rather than sticking with iTunes where everything is more complicated, head to iTools Free Download with the upgrade of version 4.0. Are you ready to try out iTools 4.0? iTools 4 is the latest major upgrade to the iTools software that contains a number of important updates. So anyone willing to try out iTools is recommended the latest, which would be better in support at the same time hosting a number of improvements. But remember it can only work through the Desktop PC either with Windows (32-bit and 64-bit) or Mac. Everything comes in the iTools 4 Download are well polished and enhanced for the best functionality. Among them the capability of converting mp3 into mp4 is here improved. And now you can transform video files into mp4 better and speedier than previously at the same time with optimized sharing capabilities. Additionally, the program comes with no plugging or ads that make your work interrupted. So the updated iTools 4 makes things easier and smarter working to the exactly need of the user having an iOS management app installed. For more, the new iTools 4 add better support for iBooks which would be music to those who makes your smart device a source of reading. What are devices compatible for iTools 4? Almost all iPhone, iPad and iPod variants are working with iTools 4. If I state in details, devices as the iPhone 1, iPhone 4 and iPhone 4S iPhone 3rd Generation, iPhone 3 GS, and iPad 1, iPad 2 and all the later devices. And with iTools 4.0 it is now supported to latest iOS 11 software covering all the devices that supports the firmware download. But here you need to note that, iTools compatibility varies due to the device models and the software each of the device takes. Does iTools work on Jailbroken Devices? With no difference jailbreakers and none-jailbreakers can use iTools Download. If you are jailbroken, iTools would offer exclusive options for that too in keeping all the system files under proper management. Everything has both good and some failures. But here in iTools 4 we find all about good as it is a supportive software for all iPhone, iPad and iPod variants. 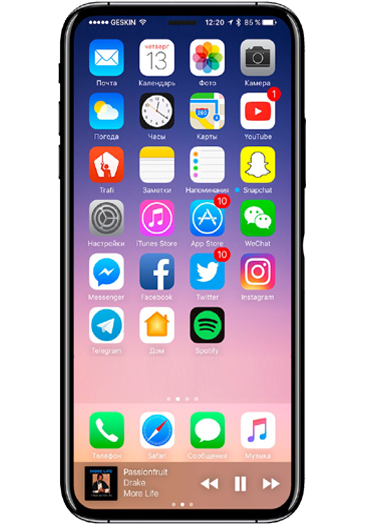 In fact, it offers all iTunes related features for iPhone management, comes in a complete free and manageable interface, allowed amazing feature upgrades that are not available through Apple’s iTunes, helps in super backups/restores and etc. While iTools 4 comes with so much productive and useful for the user, there are some slight cons just like with everything. In fact, iTools comes a little slow in some cases when you are using over hours. And at the same time, the lack of access to the iTunes is another con coming in the iTools which has not yet fixed through the iTools 4 latest upgrade. As with the Desktop PC availability, you can install iTools 4 completely free. After the installation on the desktop, you need connecting your iPhone, iPad or iPod device to the PC from which you need to go with “Apps” option which will switch you to the menu options. Then go with “Install” at the bottom and get the IPA file of the app which need to be installed. If done, you can enjoy the features within iTools interface complete free and easy. Connecting to iTools via Mac will let you easily manage things. 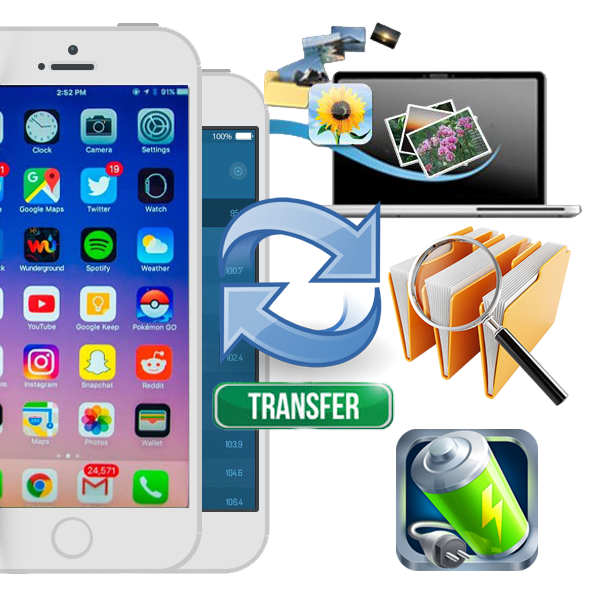 If you need transferring data, making backup, desktop management or etc, you will be able to accomplish within minutes and with no tiresome directs like Apple’s iTunes. Just like on Mac, iTools 4 Windows too come in an improved frame with complete support for file management, data transferring, and all other as stated above. So you no longer need worrying of syncing your iDevice with the Computer as iTools here offers the best connectivity supporting all Windows Operating system versions. iTools 4 is the latest trend of the iTools software which comes as the best alternative for Apple’s own iTunes. So liberating you from all complications could face in the times of iTunes, iTools 4 Download here comes pack of so many fascinating features. In fact, it contains upgrades in all sides with match to the all-users' requirements. When talking about the features with iTools, we find a lot that meet in the eyes. If I start from the favorites, they are as backups, restores, desktop management, advanced data transferring, customization features like ringtone maker, firmware upgrade/downgrade facility, file management features and etc. So above iTunes, iTools has so much to fall in love with. And as every feature comes free to the user, you do not need panic on any purchases. At the same time, iTools is completely safe in use as it does not impact on any private information or data than just involve in data transferring, editing as to your need. Additionally, iTools is available for both jailbreakers and none-jailbreakers with no change on the impact. So start handling everything in the smartest way with latest iTools 4 Download and Install. Here we bringing you the complete review to iTools Download prioritizing the latest Upgrade of iTools 4. The website will guide you through iTools features, steps to download, facts on the compatibility, system requirements, devices supported and all around. With our website help, you can get direct and genuine downloads links to the free iTools 4 Download as the all in one solution for complete iPhone, iPad, iPod management.